A Voice for New Jersey's Children. 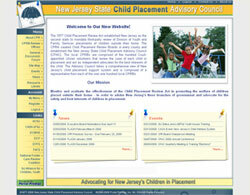 ACNJ is a nonprofit advocacy agency/organization, advocating for children and their rights. The website uses PortalProdigy's Resource Library, Document Management, Contact Management, News Management, Request Management, Discussion Management, Email Broadcaster and Event Management features. 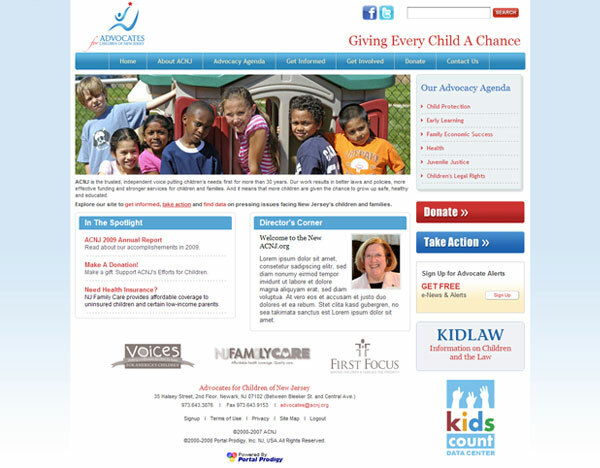 ACNJ also uses the Site Sharing & Chapter Management feature to share content with their sister organization Kidlaw.org. 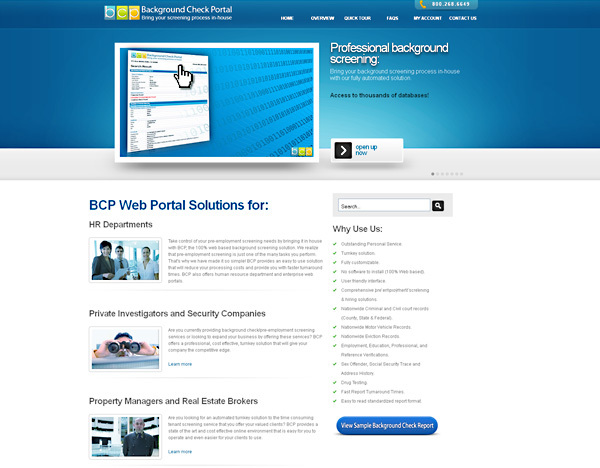 BCP is a web based solution for performing and managing background checks. It provides each client with their own web portal that includes all the functionality needed to provide background screening and reporting services. Brolin developed BCP using the PortalProdigy Internet Operating Platform. 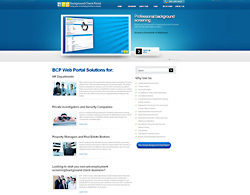 BCP includes report selection; order and payment processing for reports; automated forms for capturing applicable report subject data; formatting and submission of report searches to the applicable data provider via their API (Application Programming Interface used to connect to third party systems); polling and retrieval of the returned report data from the data providers; parsing, filtering, normalizing, and formatting report data; and output of report data in standardized format for screen view, print view, and PDF. BCP also stores and manages the report archive and provides criteria based retrieval. This is a demonstration website that showcases PortalProdigy’s ecommerce functionality along with Brolin’s design talents. Feel free to visit this website and to play with it. Click to view a video tour of the backend features used on this website. A unique and cost effective solution to finding qualified job candidates. Brolin developed & automated both the front end & the extensive workflow process that takes place on the backend of this ecommerce website. On the front end, employers can create an account, use the ad designer to build their ad, apply for credit terms or pay by credit card, submit their ad and then view the resumes of candidates responding to their ad. The ads are processed and emailed by the system to qualified candidates. Behind the scenes is an ad approval process, credit application approval process, candidate query definition & input process, mailing list generation process, email broadcasting process, removal from mailing list process, candidate reply management process, and ad tracking & status reporting. A social networking website whose mission is encouraging, equipping and connecting mothers and wives. 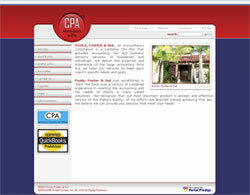 The website was built entirely by the client (with no prior web design or development experience) using PortalProdigy. It uses a standard PortalProdigy template. 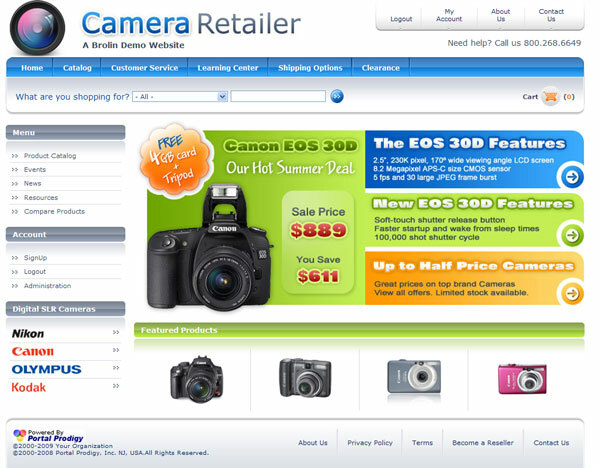 Although the graphics are basic, the site's organization is clever and it offers lots of functionality. The website uses PortalProdigy's Contact Management, Document Management, Discussion Management, Membership Management, Event Management, Resource Management and Email Broadcasting features. Nationwide recruiting firm for technical professionals and senior executives. 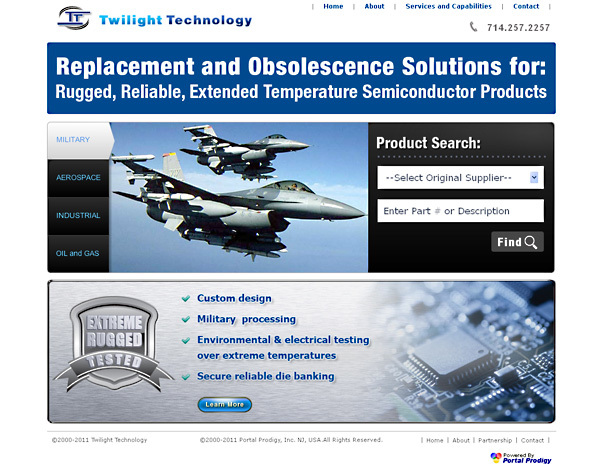 Their website was created using a standard PortalProdigy template. The website uses PortalProdigy's Document Management, Contact Management, Membership Management, Exchange Management and Request Management features. 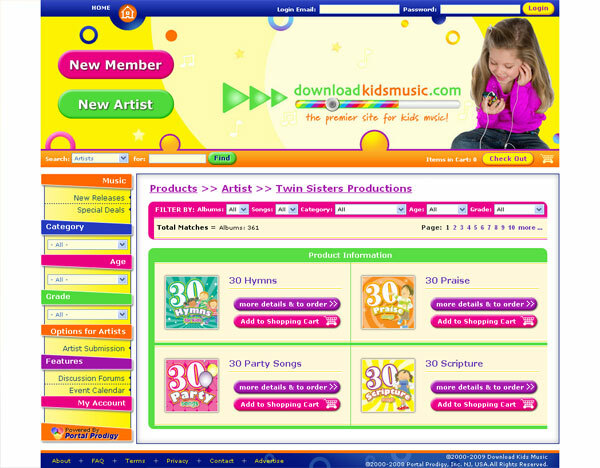 The premier site for kids music. Customers can purchase and download more than 6,000 songs. The website provides an interactive environment to build playlists, play music online, and communicate with artists. Brolin created their unique custom design and developed a number of features for their ecommerce website including an Artist Vendor Registration and Music Upload process, and an embedded MP3 player and Playlist Manager. The website uses PortalProdigy's Product Catalog, Shopping Cart, Product Download, Item Management, Promotion Codes Management, Membership Management, Document Managment, Request Management and Ad Manager features. 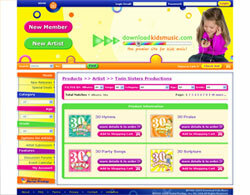 The premier site for kids music. Customers can purchase and download more than 6,000 songs. The website provides an interactive environment to build playlists, play music online, and communicate with artists. Brolin created their unique custom design and developed a number of features for their website including an Artist Vendor Registration and Music Upload process, and an embedded MP3 player and Playlist Manager. The website uses PortalProdigy's Product Catalog, Shopping Cart, Product Download, Item Management, Promotion Codes Management, Membership Management, Document Managment, Request Management and Ad Manager features. 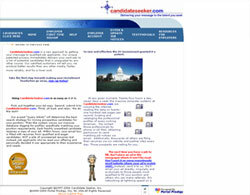 This is a demonstration website for Job Board Builder. 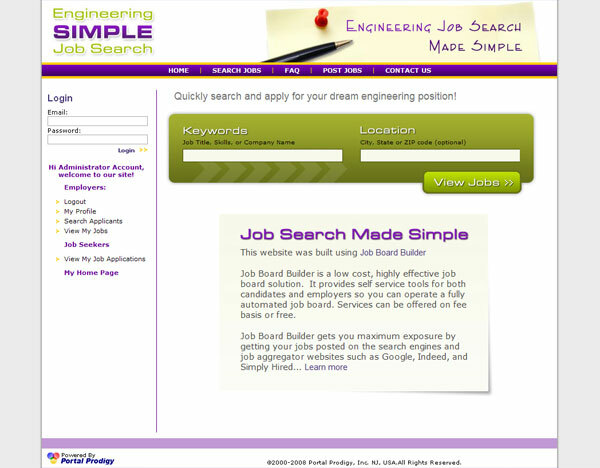 It showcases the Job Board functionality offered by Job Board Builder. See www.jobboardbuilder.com for more info. 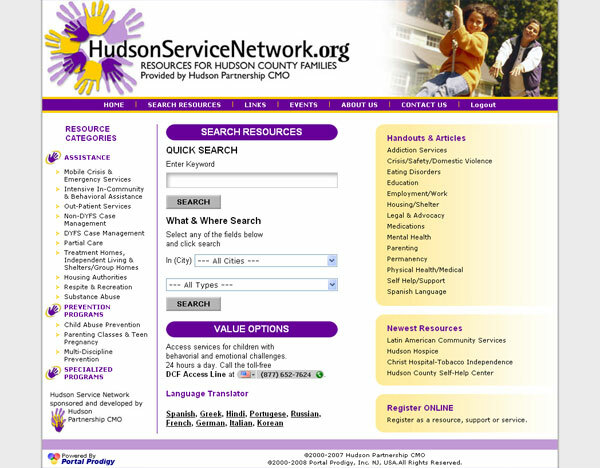 Created as an online resource center serving Hudson County. Hudson Partnership is a non-profit Care Management Organziation dedicated to organizing and coordinating services, resources and support for children in Hudson County. 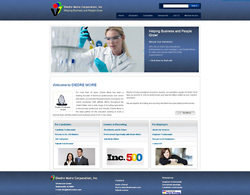 Brolin worked with Mercurio Associates to design the custom website. Brolin customized the PortalProdigy Exchange Feature to create an online resource registration for agencies with automated notifications and approval processing of submissions, and automated posting to the online resource directory. 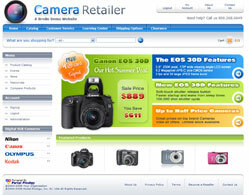 The online directory includes both simple search and advanced search capability. The website uses PortalProdigy's Exchange Management, Document Management, Contact Management and Event Management features. Everything you need to set up, manage, and promote your own Job Board. 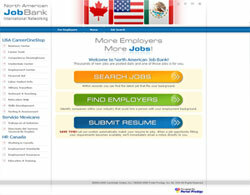 The Job Board Builder product was developed by Brolin using the PortalProdigy platform. Brolin crated the Job Board Builder website to promote and sell subscriptions to Job Board Builder online. The website uses PortalProdigy's Membership Management, Shopping Cart, Order Management, Item Management, Document Managment, Payment Management and Request Management features. 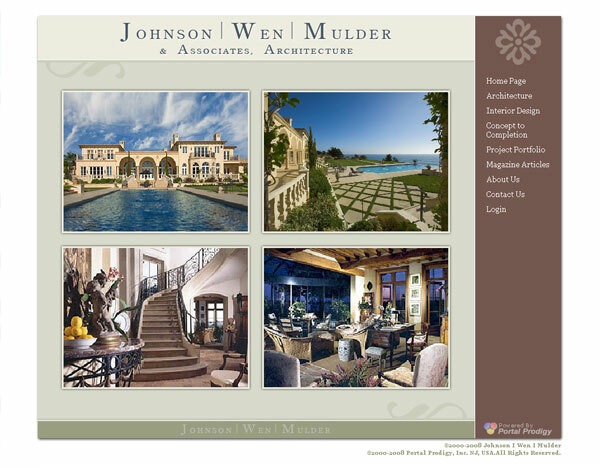 Created to showcase the work of Johnson, Wen, Mulder & Associates an achitecture and interior design firm located in Newport Beach, California. 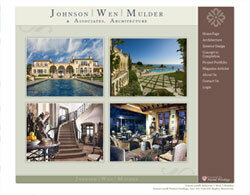 Brolin created the unique custom design for the Orange Country Architectural firm. The website uses PortalProdigy's Document Management, Request Management and Contact Management features. 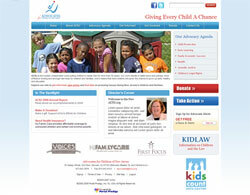 Kidlaw is the foremost legal resource on children and the law for the state of New Jersey. 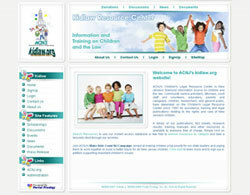 The website was created as an online resource center to provide information and training on children and the law. In addition to serving the citizens of NJ it is a popular resource for the state judiciary and legal professionals. Brolin created the unique custom design and graphics. The website uses PortalProdigy's Resource Library, Document Management, Contact Management, News Management, Request Management, Email Broadcaster and Event Management features. 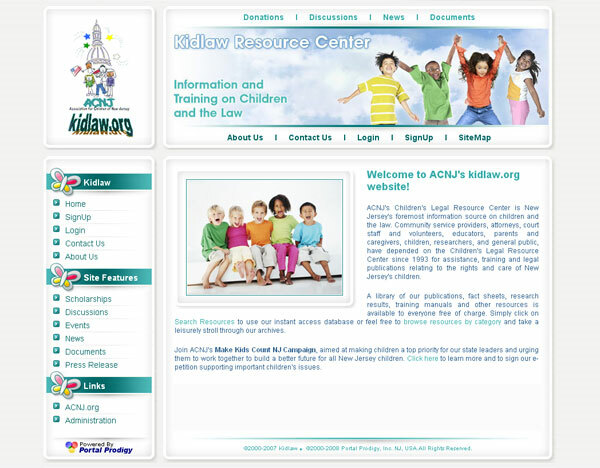 Kidlaw also uses the Site Sharing & Chapter Management feature to share content with their sister organization ACNJ.org. 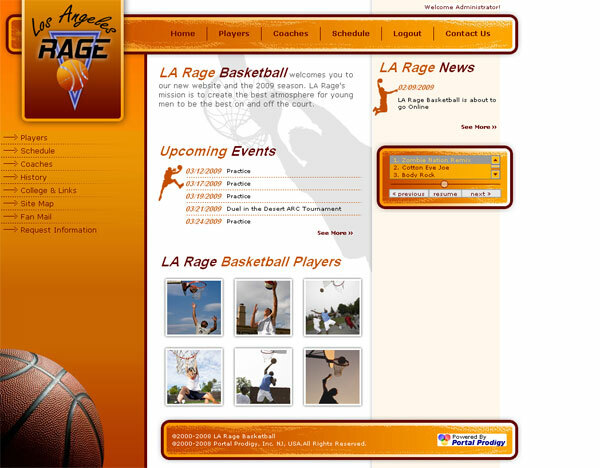 The LA Rage is a Travel club Basketball Team. 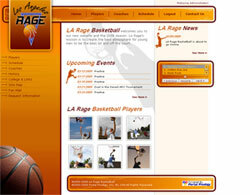 The objective of their website is to promote the team and assist the student athletes to earn college scholarships. Brolin created their unique custom design and graphics. The website uses PortalProdigy's Event Management, Contact Management, Document Management, Request Management & Team Management features. 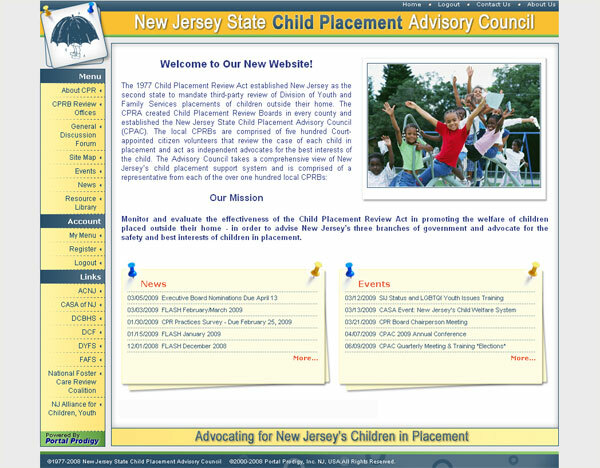 Created for the State of NJ as a resource and information center for the NJ State Child Placemenet Advisory Council which is tasked to monitor and evaluate the effectiveness of the Child Placement Review Act in promoting the welfare of children placed outside their home - in order to advise New Jersey’s three branches of government and advocate for the safety and best interests of children in placement. Brolin created the unique custom design. The website uses PortalProdigy's Resource Library, Document Management, Contact Management, News Management, Request Management, Email Broadcaster and Event Management features. A job board offering more than 300,000 job postings with thousands of new jobs added daily. Brolin used a standard PortalProdigy template with custom graphics to create their custom website. The website uses PortalProdigy's Job Board & Exchange Management, Contact Management, Request Management, and Email Broadcaster features. An accounting firm located in Orange County and serving clients throughout Southern California. This is an example of a very simple website that was built using PortalProdigy in just a few hours. The website uses a standard PortalProdigy template along with PortalProdigy's Document Management, Contact Management, and Request Management features. 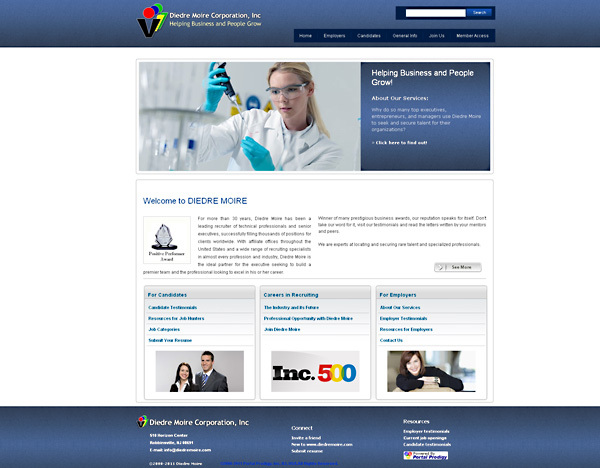 Website platform and content management system. 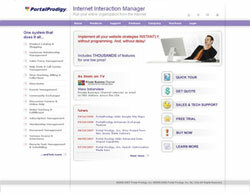 The website was created to promote, sell and provide support for the PortalProdigy Internet Interaction Manager. Brolin created a unique custom design which has since become a standard template. 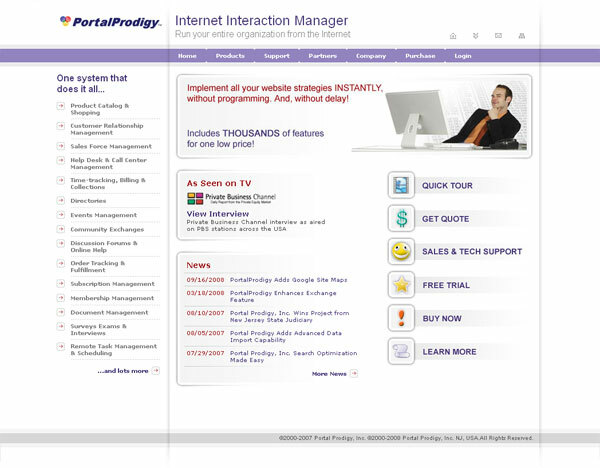 The PortalProdigy website was built entirely using PortalProdigy. The website uses PortalProdigy's Document Management, Contact Management, Membership Management, News & Press Release Management, Request Management, Help Desk, Sales & Opportunity Management, and Email Broadcasting features. 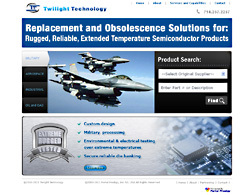 Replacement and obsolete solutions for semiconductor products. Brolin created the unique custom design and built their entire website which contains more than 10,000 products. The website uses PortalProdigy's Product Catalog, Quote Management, Request Management, Item Management, Document Management and News Management features. Leading manufacturer of electronic components designed to survive under extreme temperature ranges and harsh environmental conditions. Brolin created the unique custom design and built their entire website. The website uses PortalProdigy's Product Catalog, Quote Management, Request Management, Item Management, Document Management and News Management features.